His breakthrough public television programs on brain and mental health have made him well loved by millions of viewers seeking guidance on memory, attention, other cognitive functions, emotional issues, behavior, and more. The Washington Post has called Dr. Amen “America’s most popular psychiatrist” because of his wildly popular clinics which have over 4,000 patient visits a month and has the world’s largest database of functional brain scans relating to behavior, totaling over 150,000 scans on patients from 120 countries. Dr. Amen has appeared in movies, including After the Last Round and The Crash Reel and was a consultant for the movie Concussion, starring Will Smith. He has also appeared on the Emmy-winning show The Truth About Drinking. His work has been featured in Newsweek, Time, Huffington Post, ABC World News, 20/20, BBC, London Telegraph, Parade Magazine, New York Times, New York Times Magazine, Washington Post, LA Times, Men’s Health, Bottom Line and Cosmopolitan. — MEHMET OZ – Surgeon, author, and TV personality. 1991 – 1995Nuclear Brain Imaging Independent Fellowship Study, including 200 hours of nuclear physics and related science at the Institute for Nuclear Medical education and 1000 hours of clinically supervised training, leading to a California nuclear brain imaging license in 1995. Dr. Daniel Amen is married to Tana Amen, father of four children and grandfather to Elias, Julian, Angelina, Emmy, and Liam. He is also an avid table tennis player. Daniel Amen, MD, and his wife Tana Amen, BSN, RN take a whole new look at ADD and explain seven unique types of ADD based on the extensive brain imaging work of Amen Clinics. In his 10th national public television special, Dr. Amen gives viewers the most important lessons he has taught his patients. In this show, he outlines specific steps on how to quiet your mind and boost your mood, focus and memory. 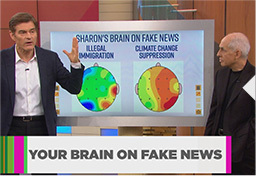 In this program, award-winning psychiatrist, brain-imaging expert and 10-time New York Times bestselling author Dr. Daniel Amen and his wife Tana Amen, also a New York Times bestselling author and nurse, will give you 50 ways to grow your brain and their best secrets to ignite your energy and focus at any age. 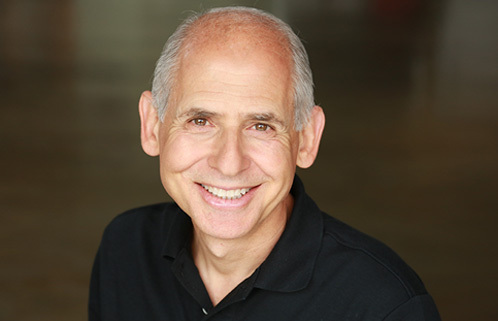 Dr. Daniel Amen’s new national public television special will air later this year. He will give viewers a proven program to help you change your brain and improve your memory today. Dr. Daniel Amen appears regularly on the “Dr. OZ Show,” an American television talk show with guest health experts. Dr. Daniel Amen delivers a powerful talk at TEDxOrangeCoast, a community of world-class innovators and thought leaders. Dr. Amen appears regularly on the “Dr. Phil,” a TV talk show on mental health, personal and social issues. Dr. Amen has been an expert guest multiple times on “Larry King Live,” a nightly interview television program on CNN. Dr. Amen visited Google to discuss his latest book, “The Brain Warrior’s Way.” He shared the daily behaviors we can do that either improve or harm our brain’s health. Dr. Amen has made appearances on BBC to discuss the problems that prevent many from living longer and looking younger and how SPECT brain scans have revolutionized the practice of psychiatry. Dr. Amen and his SPECT brain imaging research have been featured on “The Today Show,” an American news and talk morning television show that airs on NBC. Dr. Daniel Amen reviews CNN’s Erin Burnett brain scans to reveal links between addiction and depression.